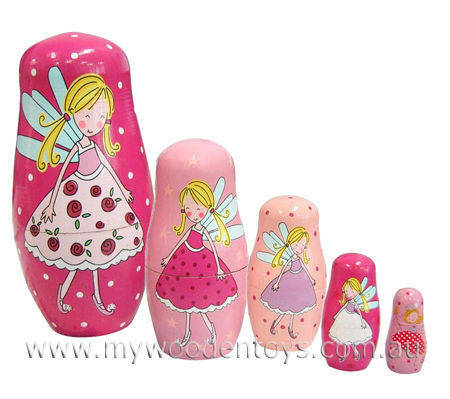 Baboushka Russian Fairy Nesting Dolls are a very pretty set of five nesting dolls in a lovely fairy style. The biggest nesting doll stands 14cm high and 7 cm wide. Each doll is a different colour and has a different flower design on it. This is a fascinating toy that has delighted and entertained for generations. We like this because: "So satisfying to fit them all together and then take apart and line up."